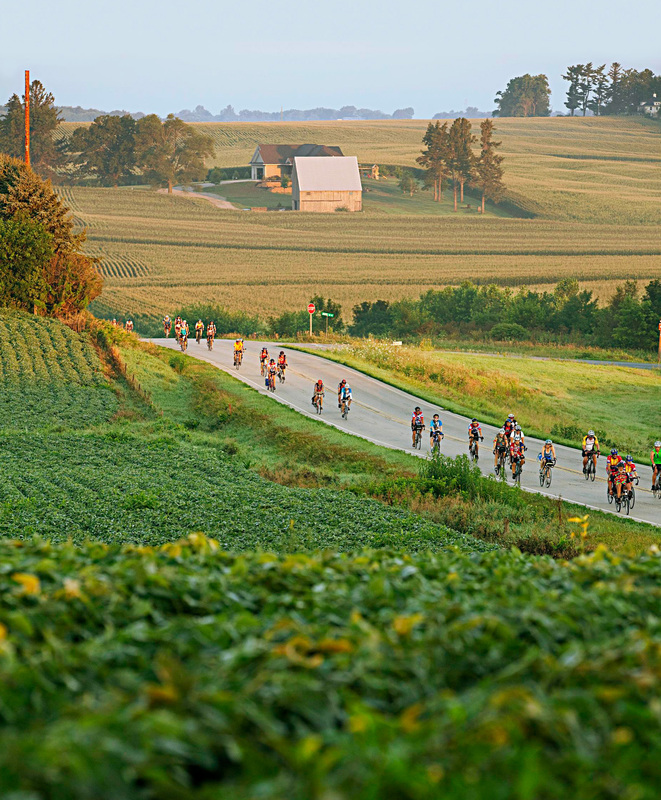 On RAGBRAI—America’s largest bike ride—up to 30,000 cyclists pedal 500 miles across Iowa’s heartland every July. And with food stands waiting at the end of every corn row, riders may actually finish heavier than they started. The thunderstorm boils over Glenwood, Iowa’s square, bruising the horizon, driving a local band off the stage and sending thousands of bicyclists to shelter. Following hand-written signs through the muggy evening, I come to the low door of a Methodist church basement and duck inside. In an instant, I meet the magic trio sought by every rider pedaling across Iowa: Air-conditioning. 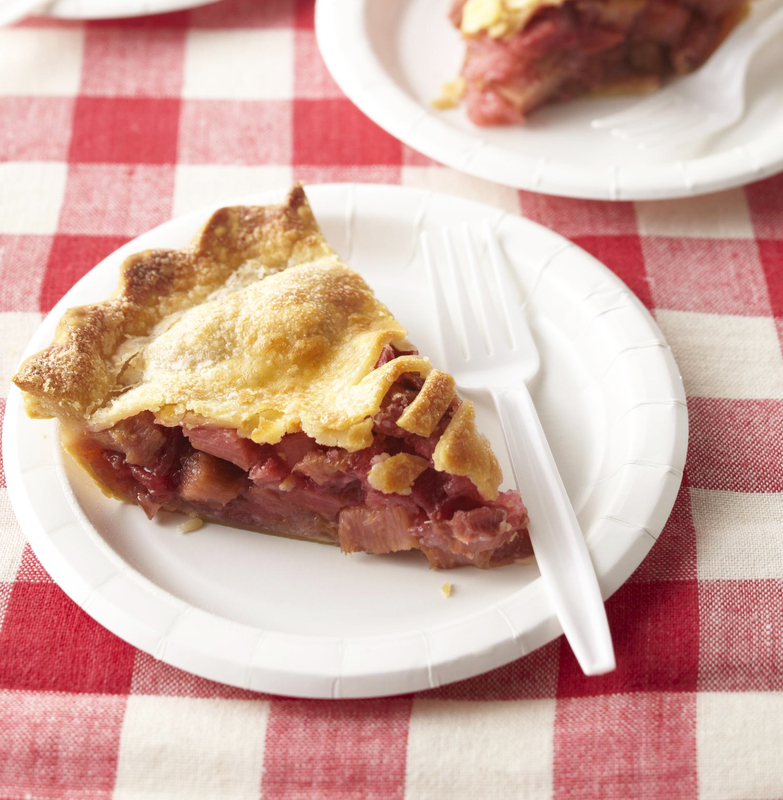 Pie. Church ladies. Grabbing a slice of blueberry made by some of the revered, reverent cooks, I squeeze into a folding chair among my fellow cyclists and a few parishioners. Rain pelts the windows as the chatter heats up, somehow sweeping in both dessert and the spiritual side of humanity. 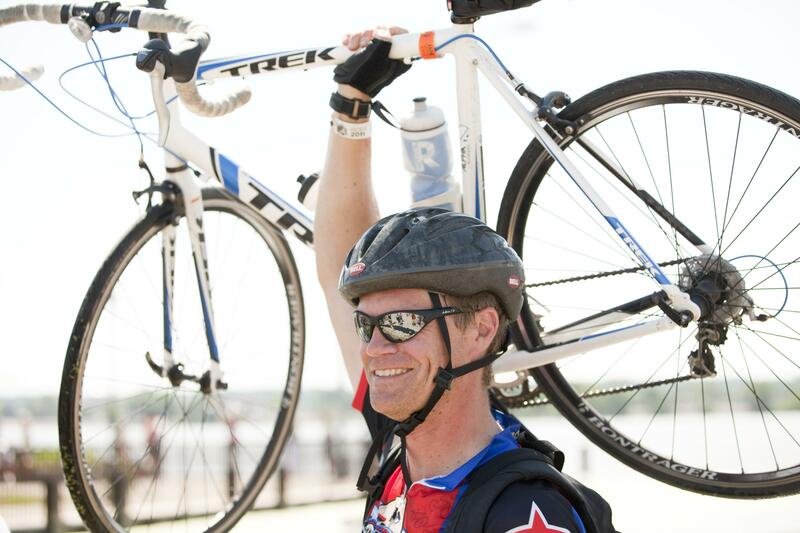 RAGBRAI bikers and locals exchange waves. Ten thousand registered riders (and up to 20,000 daily crashers) come from around the globe. Most are non-Iowans eager to see towns and rural scenes they hardly believe exist anymore. 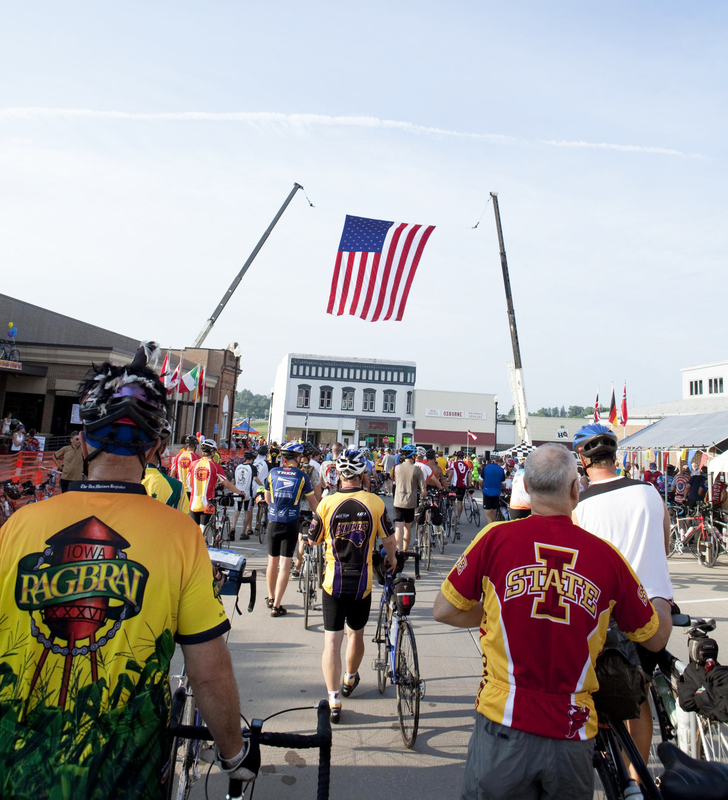 Towns on the route, which changes annually, know a RAGBRAI visit may be a once-in-a-decade windfall bringing thousands of visitors, even to places without a single stoplight. 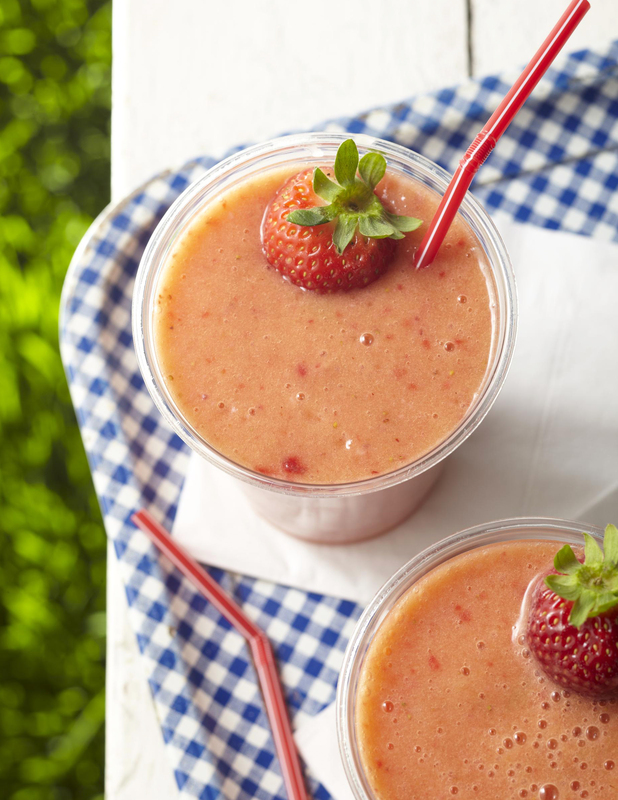 Every group that can scramble eggs, grill burgers, roast corn, chill Gatorade or churn ice cream tries to fund its next big project with a few hours of sales to bicyclists. When RAGBRAI 2011 passed North Polk High School in Alleman, the Comets’ wrestling team had just used up the money it raised during the 2006 ride. Riders burning 5,000 calories a day have a handy excuse for grazing the 500-mile buffet line. 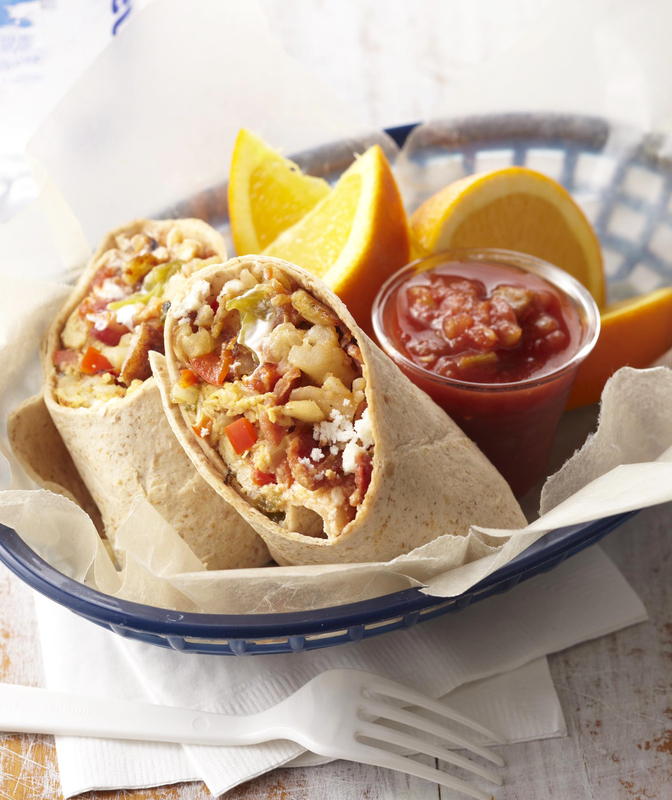 But hunger is often a secondary motive. 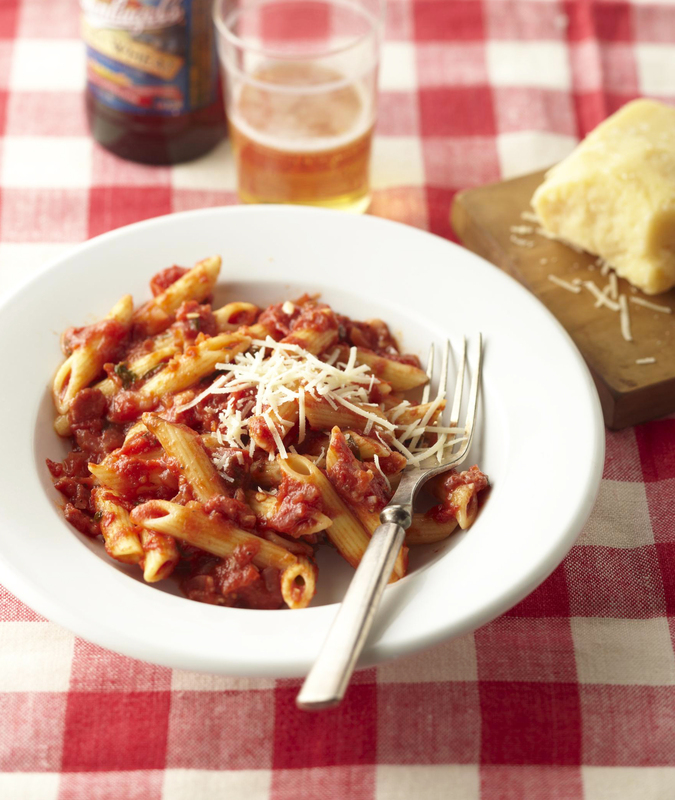 On RAGBRAI, eating is a week-long cultural field trip via paper plate. Elkhorn’s menu, for example, carries a Danish flavor. Riders enter town near high school lifeguards dressed as mermaids pointing to food tents. “Come get creamed by royalty!” a lady near the mermaid pool shouts. Following her directions, I land in line for Danish crepes filled with strawberries. An elderly couple in crowns and velvet capes sprays whipped cream onto my crepe and jabs a tiny Danish flag on top. 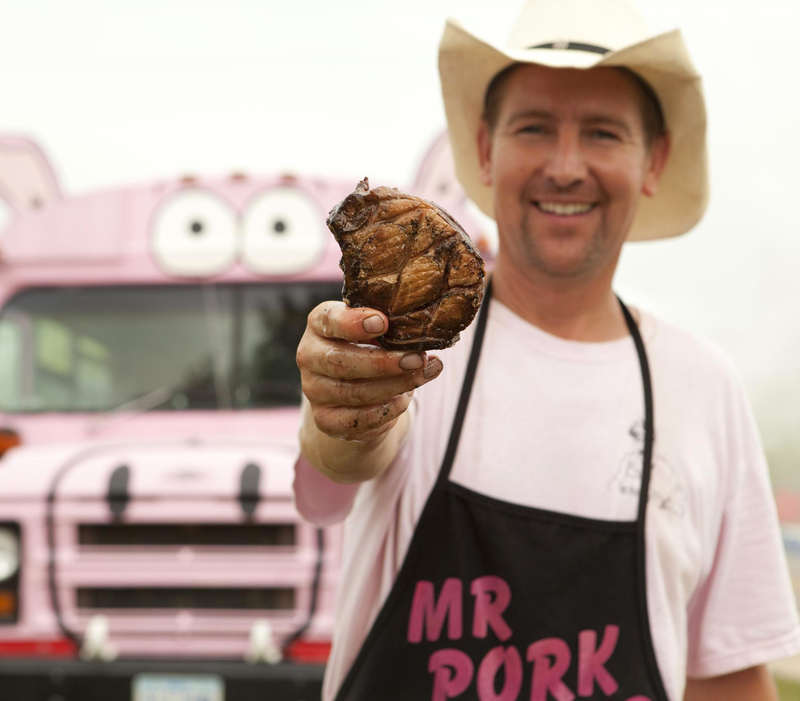 Some food vendors return every year with mobile kitchens, becoming RAGBRAI legends—none bigger than Mr. Pork Chop. Paul Bernhard began cooking inch-thick chops on a grill fired by corn cobs in 1983, eventually acquiring a pink bus decorated with a pig’s nose and selling 800 paper-towel wrapped chops each day. Miles up the road, riders know Mr. Pork Chop is near by the smoke plume on the horizon. Drawing closer, they hear his signature call: “Pooooooooork Choooooooooop!” Paul cut back to one or two days a year recently, but the grill and giant pig are still on the route, manned by Paul’s son Matt. Matt Bernhard keeps the Mr. Pork Chop legend cooking. For pork chop recipe, see end of story. It’s sometimes hard to tell local delicacies from RAGBRAI-specific food stunts. Brooklyn offers “armadillo eggs,” which no one will describe to me in advance. When I pedal into town, I learn it’s a sausage-wrapped chicken egg cooked in a smoker. (Known as a Scotch egg elsewhere.) The Oxford Fire Department sells ham-ball sundaes: cheesy hash browns covered in baked beans and topped with a ham ball and cherry tomato. I learned a few days earlier that a ham ball is a sweeter, more spherical version of meat loaf, only made with ham. 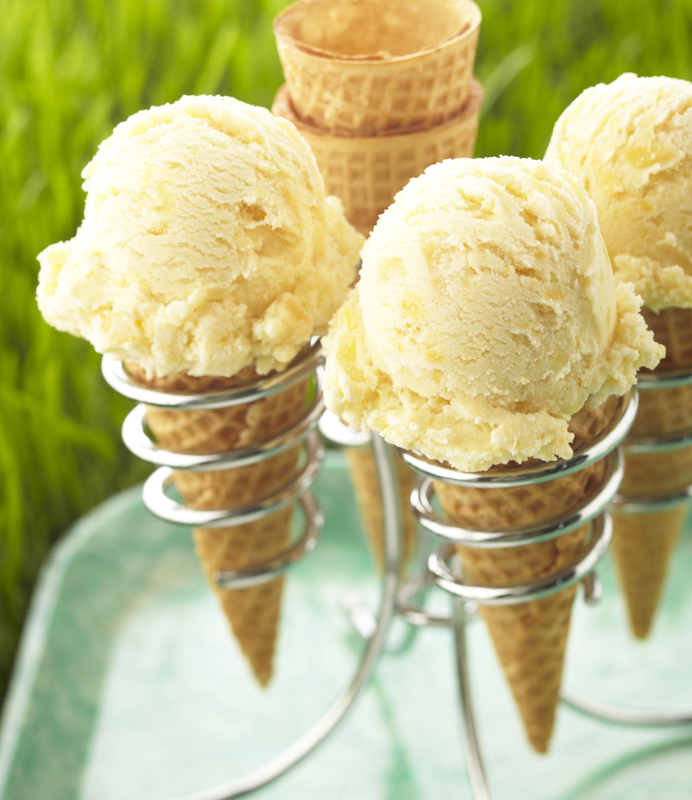 Whether by itself or atop a sundae, it’s a debatable choice with 20 miles of riding to go. The writer, Trevor Meers, celebrates at the Mississippi River.